Don’t be afraid to press the red button. That is what members of the GoodFarms team are taught under the Equitable Food Initiative (EFI). The idea of the “red button moment” began on Toyota’s production lines. 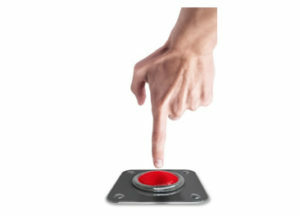 It is the belief that safety and quality are improved if every member of the team is empowered to stop the process (press the red button) if they see something wrong. With EFI, members of the GoodFarms team are encouraged and trained to “press the red button” whenever the moment demands it. This is the meaning behind EFI’s motto “Responsibly Grown; Farmworker Assured.” Members of our team know that they will be rewarded, not punished, for improving processes and protecting themselves, their fellow members, and the people who trust us enough to put the food we grow on their family tables. As a society, our food is safer when all eyes are alert for problems and all hands are empowered to correct them. Examples of “red button moments” include: a breach in a perimeter fence, an animal in a field, a sick team member, failure to wash hands properly, harassment of a team member, pesticides drifting from nearby fields, and failure to follow standard operating procedures (SOPs). Our team members are very familiar with the SOPs because they have had a meaningful say in developing them. People on the front lines are often in the best position to identify and fix problems. They know what works and what doesn’t. The EFI program gives workers a voice and everyone benefits. The good work we are doing with EFI is just one example of how, together, we are improving lives from farm to table.